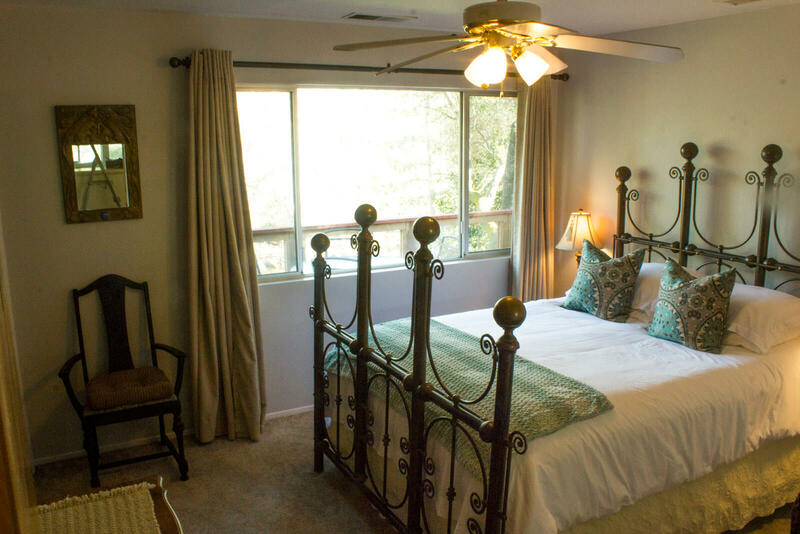 All of our rooms at Sequoia River Dance come with a private bath & a hearty breakfast. Each room has a comfy bed, fluffy towels, A/C temperature control, and complimentary Wi-Fi. We have 2 spacious day rooms with a large TV. If that isn’t your thing we also have books, games, and guides to help you make the most of your stay in Sequoia. Outside we have a large patio and plenty of seating options for you to relax and enjoy the scenery. Sit back, relax, and enjoy the sound of the river after a great day of exploring the park! The Sequoia 2-room Suite includes Blossom Peak room and Sequoia room and private bathroom with walk-in shower, shared only between the two rooms – The bathroom and both rooms are off a short private hallway. If the suite is booked for 5/6 people, a rollaway bed may be added for the 6th person. 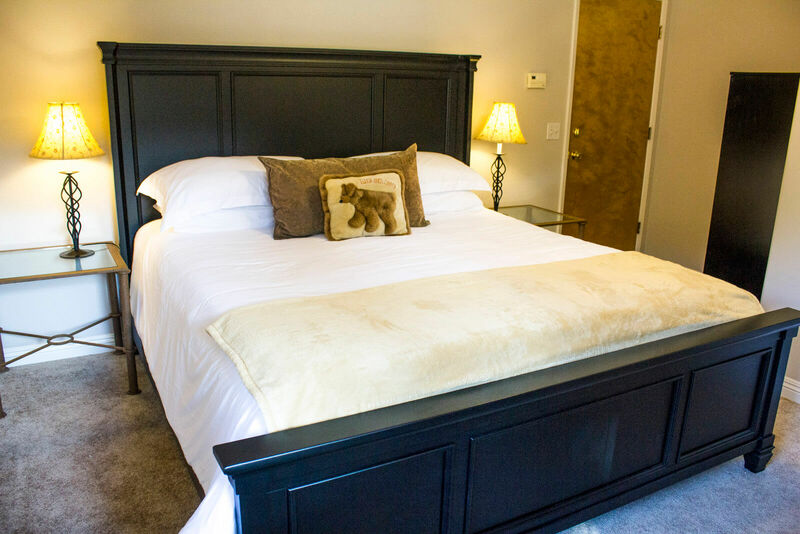 The Blossom Peak room has a queen bed and the Sequoia room has two comfortable twin beds and a cozy daybed that children love. 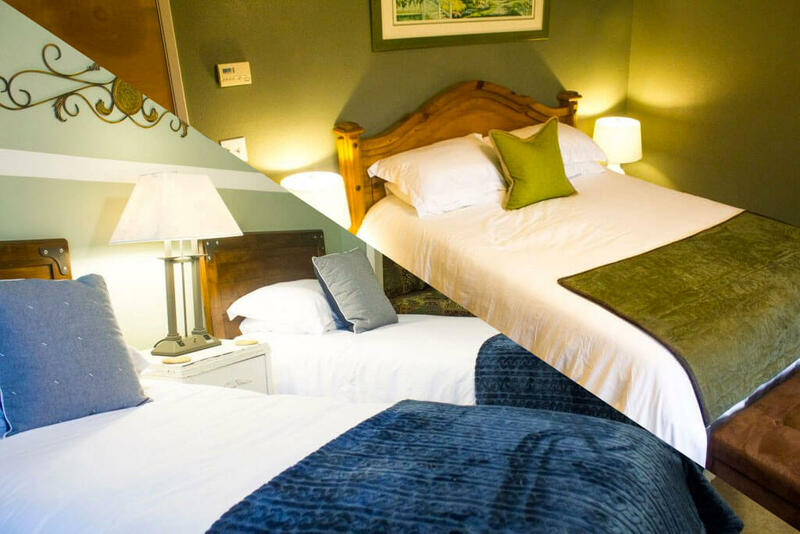 The Crystal Hill has an antique brass queen bed and private bathroom (not en-suite, the bathroom is down a short hallway and is for the exclusive use of the Crystal Hill room). A rollaway bed may be added if this room is booked for 3 people. 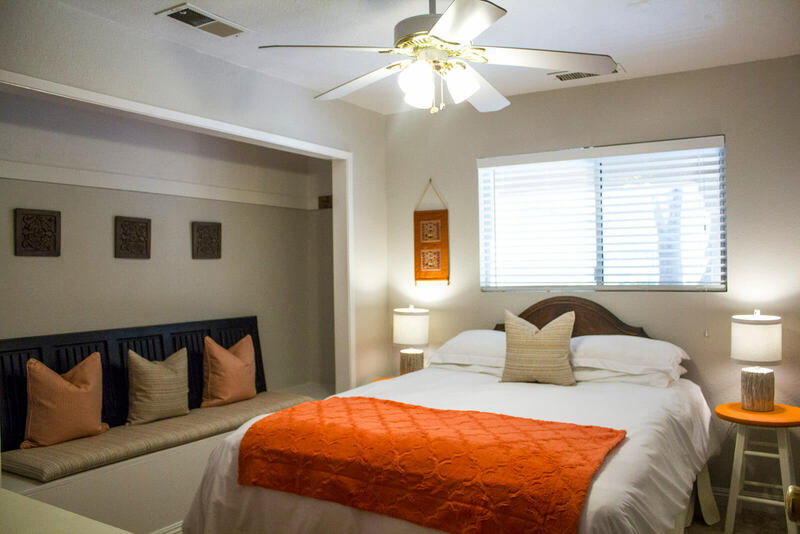 This spacious upstairs room has a California King bed and a private en-suite bathroom with a walk-in shower. The Crescent Meadow has a queen bed and has the shade of our grand old oak tree on the first/ground floor. Private en-suite bathroom with combined bath and shower.